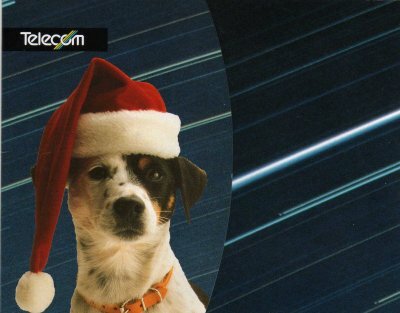 Telecom gave this Christmas Phonecard to every one of its 12,000 staff to thank them for their help and support throughout the year. 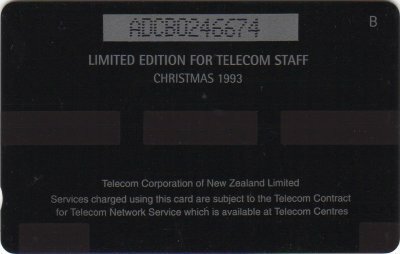 These cards were supplied in a Staff folder as illustrated below. 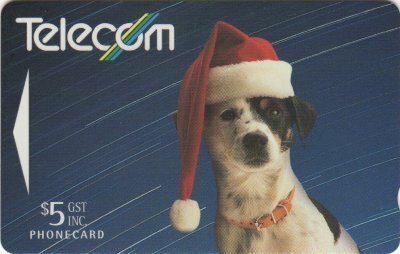 There are two different reverses of this card. One with a B in the top right corner, the other with a C on its side. 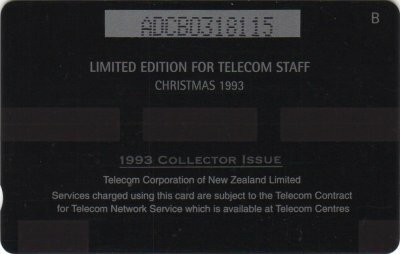 This card was also included in the Collector Pack AdCards Volume Four NZ-CP-22 and was overprinted on the reverse with 1993 Collector Issue.